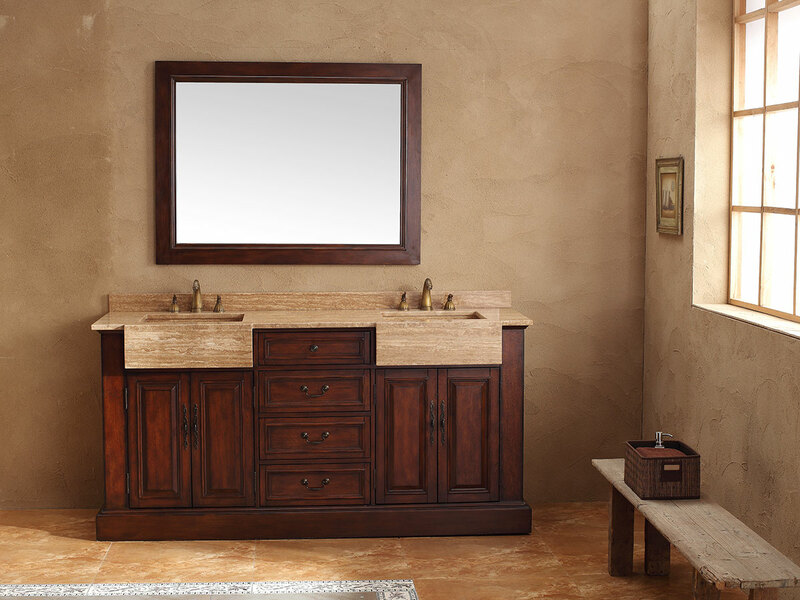 The 72" Ballymun Double Sink Bathroom Vanity is a gorgeous blend of traditional antique style and modern travertine with integrated sinks. 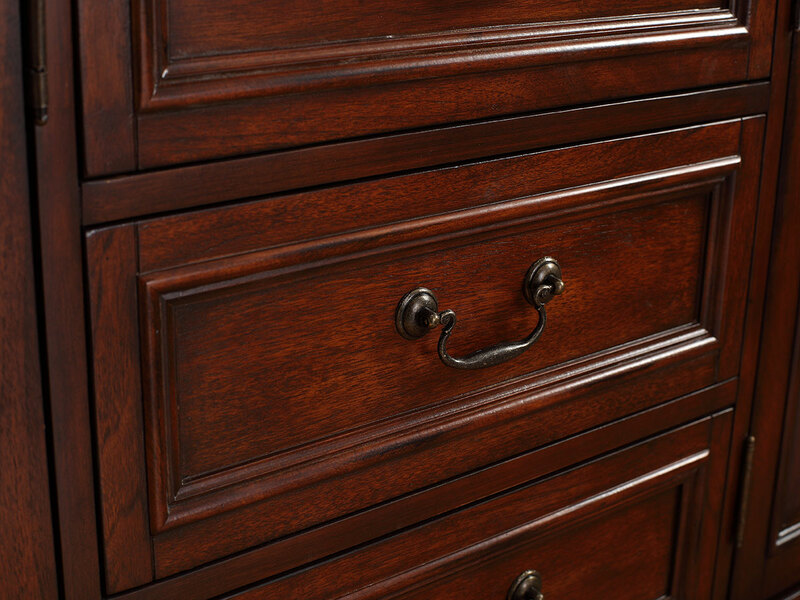 Its elaborate wooden cabinet has touches of traditional style with its antique styled drawer and cabinet handles and wooden carvings. 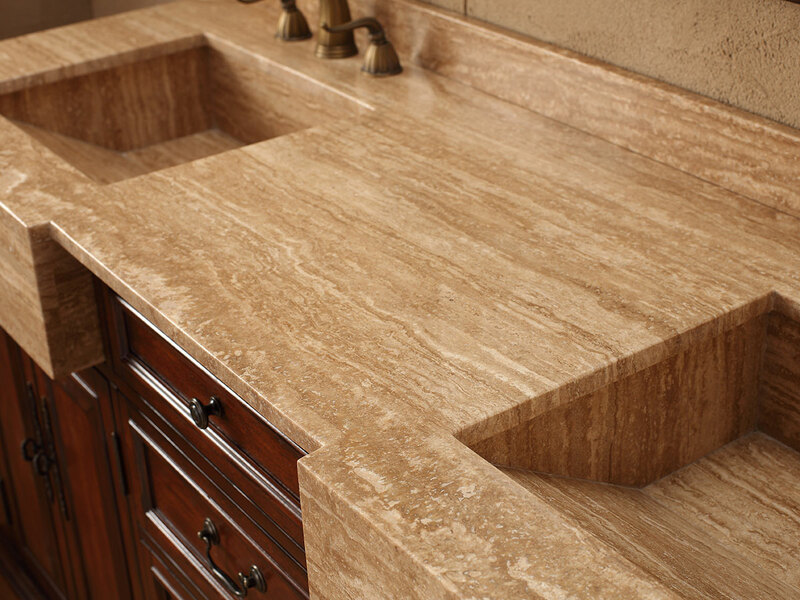 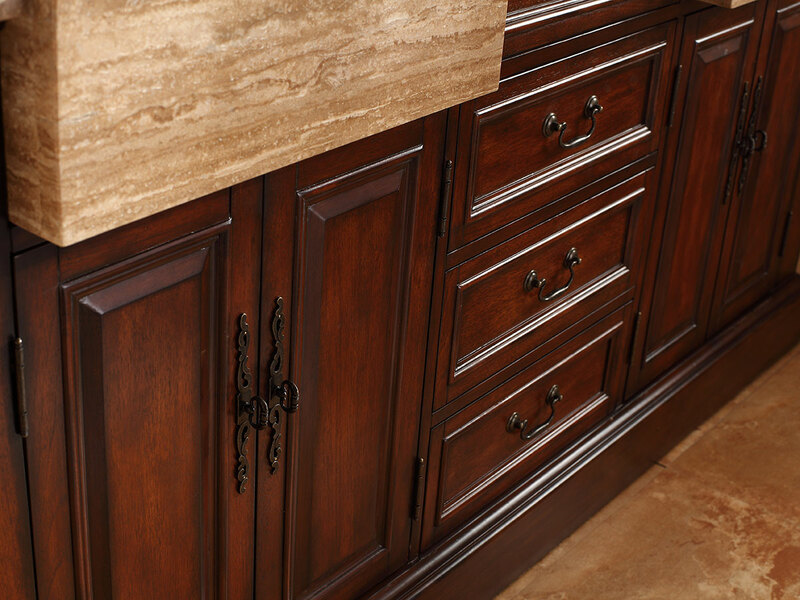 But this vanity's truly stunning feature is its travertine top, a solid piece that encompasses countertop and sinks, all in one. 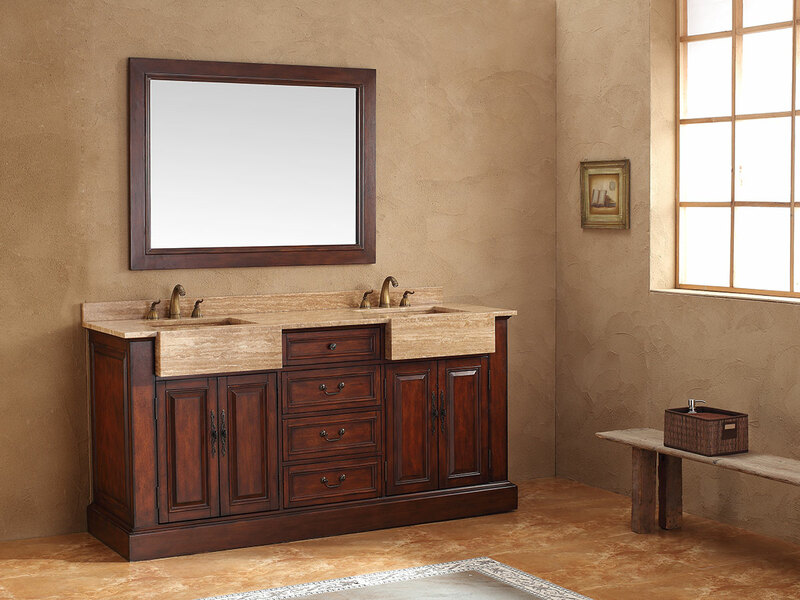 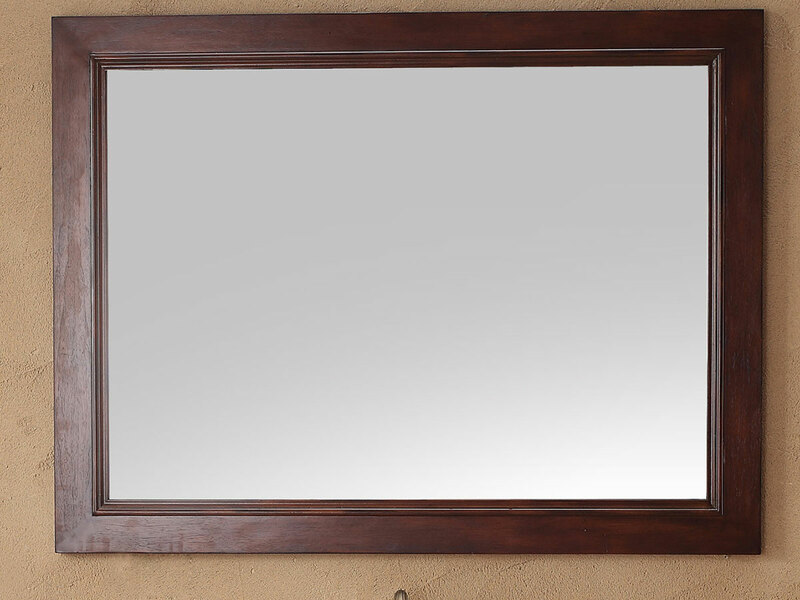 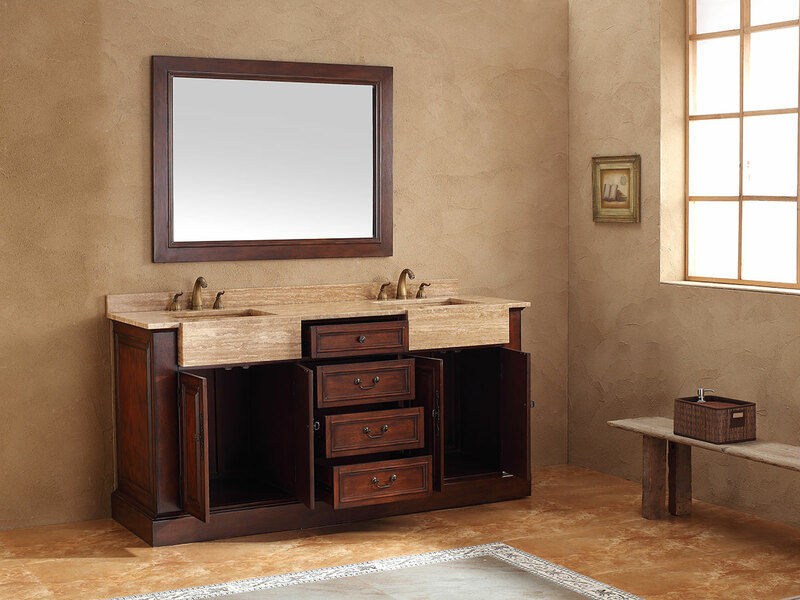 Blending old-world style with new-world ingenuity, the Ballymun vanity will ensure your bathroom has it all.